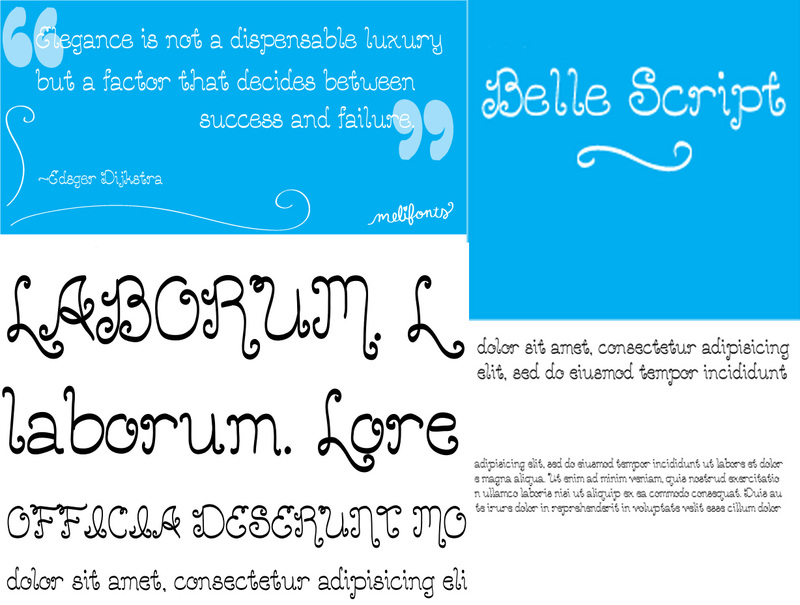 Belle Script is a new font designed by Melinda Jeffs. It reminds me of the writing I would make next to my loop-ey looking doodles in my childhood! I love how playful this font is. I believe this font could be used in modern wedding invitations and wedding stationery. Check it out and purchase it on the my fonts website.